Want to learn more on the evolving workplace and how to help your employees have a stronger experience at work so they can reach their highest potential? Are you looking to train the next generation of design firm professionals on project management best practices? Have you ever wondered how to best position your firm for success on public sector pursuits (before, during, and after the RFP)? Wonder no more!!! Join us as we pull back the curtain and get to the heart of what makes an AEC firm positioned for success, internally and externally. Moderator - Jennifer Golynsky, SPHR, SHRM, - SCP, CHRS - Director of Human Resources, W.K. Dickson & Co.
Weston Boles, P.E. - Land Development Program Manager, W.K. Dickson & Co.
Our goal is to strengthen our ACEC/NC member firms by connecting business practice needs with solutions in a mutually-beneficial venue. EVENT SPONSORSHIP or VENDOR BOOTH! 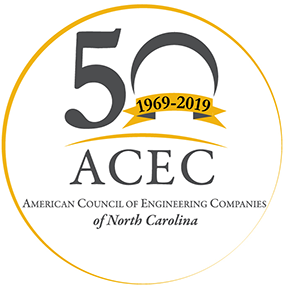 CLICK HERE to make a room reservation in the ACEC/NC room block. Cut off date for reservations is Wednesday, April 16th. After this date all reservations are based on hotel availability and current rates. Deadline to register is Tuesday, May 7th. No refunds will be given after this date and additional registrations will be charged a $25.00 late fee.